Whizz Engineering Services Pvt. Ltd. is one of the most prominent manufacturers, suppliers and exporters of superior quality range of Material Handling & Air Pollution Control Equipment, CO2 Extraction & Recycling Plants and Accessories. 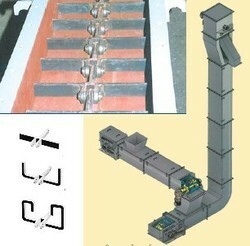 In addition to this, we render excellent Fabrication and Assembly Retrofit Services to the customers. The products offered by us are designed in compliance with the latest market developments. 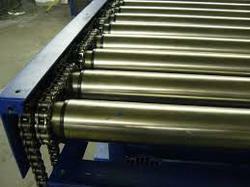 We make use of high-grade raw material and components procured from the trusted sources to manufacture these products. Besides, we employ cutting-edge technology to render the services. 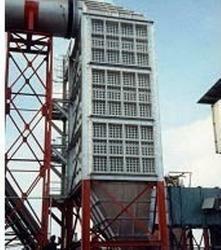 We offer Air Pollution Control Equipment to the customers to prevent air pollution in an efficient manner. Our professionals undertake feasibility study, conceptualization and installation services, among others on turnkey basis. They make sure to offer the equipment that can cater to the exact needs of the clients in the most efficient manner. 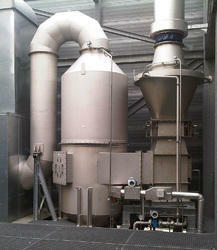 Our range includes Pulse Jet Self Cleaning Bag Filters, Cyclones And Multi Cyclone Dust Collectors, Industrial Process Centrifugal Fans, Dedusting Systems, Vertical Tower Scrubbers, Horizontal Tower Scrubbers, Solvent Recovery Plants, Local Exhaust Ventilation Systems and Dust Fume Extraction Systems. We are designers and turnkey solution provider of various Material Handling Solutions for Industry. 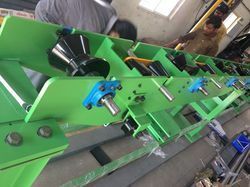 Our Material Handling Conveyors are specific to an application be it handling long products such as bars and tubes, or pallets conveyed over straight lengths or bends , or bulk material. We have a solution for your Needs and inquire with us for the best technical solution for your requirement. Ideally Suited for Steel Mills, Bar and Tube Processors for highly accurate automated Systems for NDT such as Ultrasonic Testing , Eddy Current Testing . We provide Bulk material handling equipment used for the handling of dry materials such as ores, coal, cereals, wood chips, sand, gravel and stone in loose bulk form. It can also relate to the handling of mixed wastes. Bulk material handling is an engineering field that is cantered on the equipment used for the handling of dry materials such as ores, coal, cereals, wood chips, sand, gravel and stone in loose bulk form. It can also relate to the handling of mixed wastes. The purpose of a bulk material handling facility may be to transport material from one of several locations (i.e. a source) to an ultimate destination or to process material. Various Scrubbers are supplied by us to cater for different Industries depending on the nature of Pollutants in the Air or Flue Gas Streams being let into the atmosphere .